And… he’s off. Pantsless Pierce has a new skill. Life just got a little more interesting. 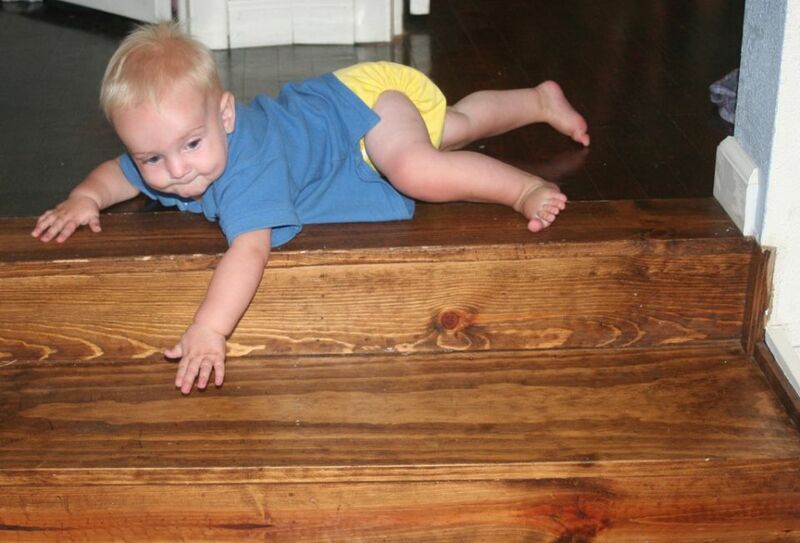 Pierce went from standing at the bottom of the stairs to scaling them in seconds… and then trying to dismount just as fast. If I accomplish nothing else today, it’s still a success. I caught the baby AND I took photos for the blog. Kate has figured out that getting down the stairs in one piece is harder, than going up. After taking a few tumbles, she’s starting to learn to sit at the top of the steps and whine until someone gets her down!